Sussex camping - an overview of our East Sussex Campsite in the woods. Looking for an East Sussex camping site where you can explore the forest, relax around the campfire and sleep (almost) under the stars? Try a stay at The Secret Campsite Beech Estate. 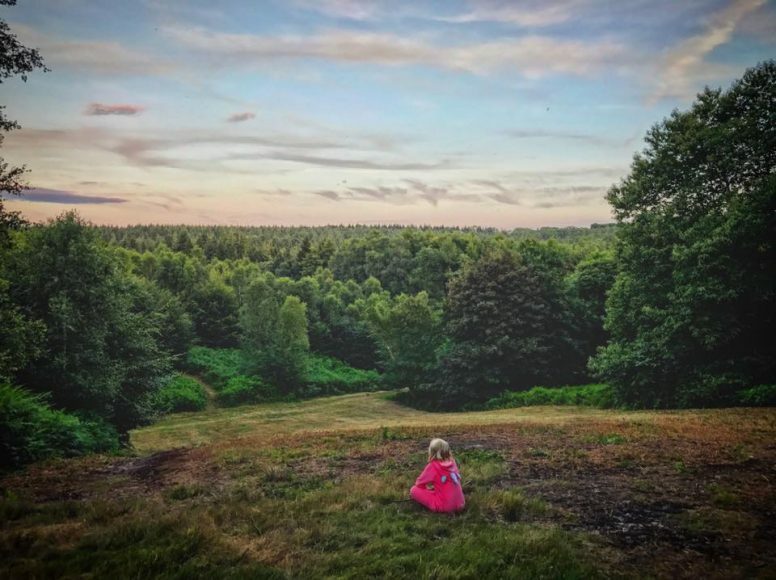 Set on the edge of a beautiful 600-acre woodland near Battle, our off-grid campsite offers ‘wild glamping’ and ‘real camping’ among the trees from April to October. Set up your own tent in a Forest Tent Pitch or choose the ‘wild glamping’ option to stay in one of our pre-erected bell tents. The bell tents are kitted out with beds, camping furniture and cooking equipment all provided. If you really want to get away from it all, you might like the seclusion of our Faraway Tent Pitches or, for a pitch with a view, choose our extra-special Valley View Pitch. We also have pitches especially for hammock campers and a number of dedicated areas which offer space for groups to camp together. For further information about Sussex camping for groups and to see all our group options at our campsite please click here. Beech Estate woodland is part of a privately-owned estate in the High Weald, an Area of Outstanding Natural Beauty (AONB). The area surrounding the campsite is yours to explore during a stay with us. You’ll be able to discover beautiful wildflower meadows and spot birds, butterflies and insects as you head out on woodland walks. Enjoy mountain bike rides through the forest or try your hand at den building or bushcraft. What’s this about nature, peace and space? We try to minimise our impact on the environment and provide an experience based on the freedom of wild camping with the basics taken care of. There’s no electricity on site, amplified music is not allowed at the campsite and cars are parked away from the camping area. So you can switch off and enjoy the surroundings. We have a block of four flushing toilets in the main camping area. We try to limit our water use by providing composting toilets elsewhere on site and our highly-recommended open-air bucket showers. 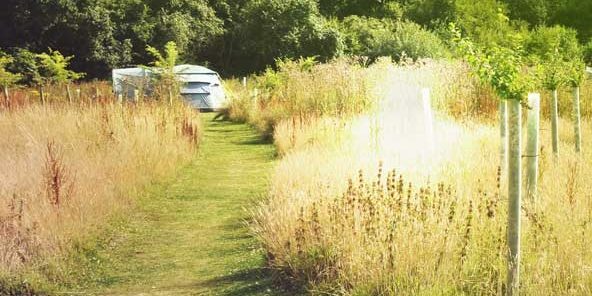 Our beautiful campsite is surprisingly close to London and Brighton. Located very near to the south coast and its lovely beaches. The campsite is a great base for those wanting to explore the East Sussex countryside and coast or to visit the historic sites at Battle, Hastings and Lewes. For bookings of more than four adults or eight campers in total or if you want two or more families in adjacent bell tents or pitches please contact the office so we can advise on availability. If you need to know more details about our Sussex glamping option, check out our Frequently Asked Questions page or please feel free to get in touch with the office. We try to minimise our impact on the environment and provide an experience based on the freedom of wild camping with the basics taken care of. We hope to have you visit our lovely woodland for some great East Sussex camping and East Sussex glamping. Remember the campsite is located near London, Brighton, Hastings and the South Coast. A few miles down the road is the historical Town of Battle.